This interview is the fifth in a series of exchanges with local elite runners. These are the men and women who train hard, take their running seriously, and work to compete--and win--on all levels. For all of these folks, running is a hobby. None of them make a living doing it. They continue to represent the best of amateurism, the idea that excellence in athletic endeavor is valuable for many reasons beyond financial compensation. Scott Wietecha is, simply put, the fastest of my running companions. The interview is long, and it's great, so I don't want to waste much of your time with introductions. I just want to say that the following interview shows quite plainly the role of Scott's mentality in his running success. It is clear that Scott is physically talented--no one runs the kinds of times he does without physical talent. But it's just as true that no one runs as fast as he runs without character-based talents: thoughtfulness, humility, determination, and sheer intelligence. These traits shine through in Scott's life, his running, and I am excited to say that they come through in the responses you will read below. If you enjoyed this interview, follow Scott's blog: Running, Rants, and Randomness. Be sure to check out his encounter with the squirrel! Scott also offers individual coaching. If you are interested, you can contact him at runwietecha@gmail.com. As you will see, he has a lot of knowledge to share. LLD: What do you consider your best running performance? Can you give a running resume? 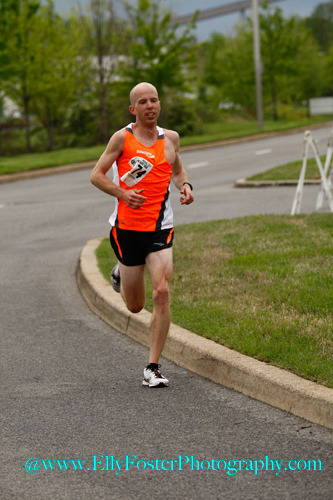 Scott Wietecha: The Team Nashville 10 miler was probably my best performance according to the stopwatch. I ran 121 miles from that Sunday-Saturday stretch,and with a really hard session a couple of days prior, I went into that race hoping to run around 5:10-5:15 pace and just keep it as a workout. After a 5:15 first mile, I dropped it down to around 5:05 pace, and it felt easy, so I kept it there. During the eighth mile, Doug Boomer, one of my running buddies, jumped in and ran with me for a bit and I got overly excited and ran 4:42 for that mile. I slammed on the brakes and expected to run 51 something, so I was really surprised when I saw my time. But I would consider my Country Music Marathon performance a little bit better. I was in really good half-marathon shape but knew I didn't have that marathon strength. My plan was to run the first 10 miles at 5:40-5:45 pace and see how I felt. But when the gun went off, I felt like a million bucks and constantly had to slow down because I was running consistent sub 5:20s. I hit the half-marathon in in a new personal record of 70:10 and later on, had a four mile death march to finish in 2:24:10. I consider it my best performance because I thought 2:30 would be a best case scenario time and I felt it served as my breakout race in Tennessee. It also gave me the full marathon experience and let me know what the wall is like. I started running in sixth grade and ran for Irmo High School in Columbia, SC. I was fortunate enough to win a team state title in cross country, won a state championship in the 1600m and 3200m and had more second and third place state meet finishes than I care to remember. I then went on to Harding University in Searcy, AR, where we finished 3rd as a team at Nationals my senior year. Individually, I was an All-American in cross country and in the indoor 5000m (finished 8th at Nationals in 14:29), and also held the school record in that event for a grand total of 1.5 hours. I was hoping to win Nationals in the steeplechase my senior year, but came down with mono and wasn't able to make it out of the preliminaries at the national meet. I then ran for the University of Arkansas-Little Rock for a season of indoor track and set the school record of 14:37, which I believe still stands. I was really hoping to break 14:00 there but I had a mono relapse before the start of the season, along with some iron issues. After that year, I moved to West Virginia to teach 5th grade and ramped up my training, with hopes of running times fast enough to join the Hanson's. I ended up with a bum achilles and lost the desire to train for six months. I then moved to Little Rock, AR, to teach elementary physical education and started training that fall with hopes of qualifying for the 2008 Olympic Marathon Trials. I quickly regained fitness before crashing and burning pretty badly, which was probably an iron issue. I became mentally burned out and took off the next few years. When I moved to Tennessee, I wanted to get involved with running somehow, so I contacted the Lipscomb coach to see if I could volunteer assist with them in some fashion, but he said he didn't have anything available. I then emailed the coach at Beech High School, who let me coach the distance runners that season. I started running with the kids on their easy days and now three years later, here I am. LLD: All of us here in Nashville were very impressed with your fitness this fall, especially your 50-flat run at the hilly Team Nashville 10 miler. 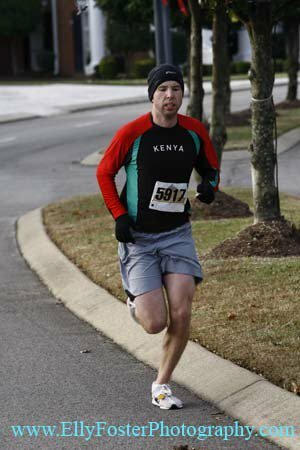 Your buildup to the Rocket City Marathon for an attempt at a trials qualifier seemed to be flawless, until you got sick the day of the race. I know that it must have been hard not to race, but you have to be happy with the form you were in. Can you talk a bit about the process of getting yourself fit enough to run sub 2:20? SW: I was really bummed that I wasn't able to take a shot at that 2:19. I would much rather run and completely bomb, than not get a shot at all. I usually underestimate my abilities before a race, but for Rocket City, I really felt like I was in sub 2:19 shape. But I'm definitely happy with how my training went because I'll go into the next cycle with a better background and will be ready to try some new things in training. In marathon training, I would rank the three most important items in order as: 1.) Mileage (assuming you're running at least 50 miles a week), 2.) Marathon-Specific workouts that last a while and use up a lot of your carbohydrate stores, 3.) The long run (not long, fast runs but your classic 20 miles easy, etc. ).With my marathon training, I like to break it down into three cycles: The base period, speed period and marathon-specific period. During the base period, I do a lot of very easy jogging and once I feel ready, I'll add 8-10 mile runs at a medium pace (just under 6:00) and some 9-10 mile progression runs (might break it down into 4 miles at 6:20, 3 miles sub 6:00 and 3 miles sub 5:30). I'll also work up to 10x10 seconds all-out hill sprints with about 2:00 granny jogging recovery in between. Mileage might get into the 90s, but I kept my long runs at 15 miles or less. The key is to return to easy jogging and give my body a mental and physical break. It's not good to always be on the prowl and on edge and rest periods and down time are needed. Once the progression runs become really comfortable and I feel ready, I'll start the speed phase. During this phase, I run a variety of speeds in my workouts (stuff from mile pace to marathon pace) and try to get into the best 10k/half-marathon shape I can. During the week, I only have an hour to get in my twice weekly fast workouts, so I'll usually run them as a fartlek or progression run. I go with those because they are more about effort rather than running a certain pace. I don't have enough time to warm-up enough to be ready to chase a certain pace, so I stick with the fartleks and progressions because I focus more on staying fast and relaxed on those and don't really pay attention to the speed. I'll work my long run up to 20-22 miles and one or two times a month, I like to get in a long progression run or long medium paced run. I didn't get to do that too many times this past build-up, but I feel they are important workouts. This phase is probably the most tiring because I'm running a lot of mileage, doing some races and am running hard, intense workouts on tired legs. When I'm about 1.5-2 months away from the marathon, I begin zoning in on marathon pace. I increase my mileage some more but slow down my easy days because while in the prior phase, I ran workouts on dead legs, when it's time to run a marathon workout, I make sure I'm fresh enough to hit the pace. If not, I stop the workout early and try again in a day or two. This past fall, over 50% of my mileage was probably 7:30 pace or slower. That pace lets me recover well, run some extra mileage and enjoy the run more. As far as fast workouts, rather than focusing on increasing speed, etc. I focus on extending the distance I can run marathon pace. This fall, my first marathon workout was 6x3k, then I went on to 4x5k and 3x7k. I also run all of my long runs on an empty stomach, without taking in any carbohydrates during the workout. A major factor in the marathon is teaching your body to burn fats faster, which spares carbohydrates, thus delaying the "wall." If you want to teach your body to react well in a low carbohydrate state, you need to practice it. That's why I never understand people who are religious about taking in carbohydrates while they run. They make that individual run better and feel a little better the next day but they aren't forcing their body to adapt and are hurting their eventual marathon performance. While in the speed phase, I try and turn my body into a sports car, during the marathon phase, I try to turn that sports car into a hybrid. I know I'll lose some speed and power, but they key is to improve my gas mileage and efficiency at marathon pace (Joe Rubio said something similar to that, so I have to give credit to him). LLD: You are involved in the sport both as a coach and an athlete. One thing I am most impressed by is your ability to balance these two roles. Often, the most talented athletes don't make great coaches, but it seems to me like one of your greatest talents as an athlete is to assess your own progress in training and be your own best coach. This is something I struggle with in my own training. Do you find your "athlete" self and your "coach" self to be at odds with each other? Do you have any suggestions for self-coached runners? SW: Until moving to Tennessee, I was never able to coach myself. I knew the principles and how to coach others, but I was too insecure and not independent enough to do my own training. Something I've learned how to do over the years is how to read and listen to my body. In college, I was surrounded by teammates, so in workouts, instead of focusing on pace and rhythm, I was trying to run down some guys while staying ahead of others. On easy days, someone would always feel good, so instead of running 7:00-7:45 pace like I do now, we probably ran between 6:00-6:30 pace. If you're in a class with a bunch of your friends, you're probably going to be distracted and talk and mess around, rather than focus on the presentation. You're missing a lot of vital information, so when the test rolls around, you're going to be in for a surprise. But the quiet nerd who always listens to the teacher is going to be prepared and won't have as many surprises come test day. The coach's job is to observe and communicate with the athlete to make the best decision with the information they have. Coaches can see how your body responds to things but don't always know what's going on in your head. As my own coach, I can know what's going on with my body and in my mind, so I have all of the information I need. During races and in hard workouts, I am constantly monitoring how I feel and then make adjustments based off that. I think Mark Wetmore calls it something like "listening to your body's bio-feedback" or something along those lines. Instead of having a coach yell at you every couple of miles, I have one in my head throughout the entire race. A coach also plays a large role in the athlete's success, so as my own coach, I take the chip off my shoulder and do what I feel is ideal. That means sometimes forcing the pace, even if I feel like crap or slowing things down, even if I feel like the pace is too easy. In the Country Music Marathon, I felt so good for those first ten miles and there was a guy just ahead of me a couple of miles in. My inner-athlete wanted to run with him and stand my ground but my inner-coach knew it was dumb because the pace was too fast. I knew I do better when I listen to "my coach", so my mindset went from "bring it on" to "I'll see you at 20 miles." 1. Be patient and consistent. If you feel like a certain type of workout isn't beneficial or isn't working, give it some time. Maybe you're having trouble with it because it's stressing your body in a new way. If that's the case, your body will most likely adapt to that new stress and get those increased fitness gains. People who flip-flop with their training and mindset will most likely flip-flop on race day. You also need to get in the training day after day, without excuses. Inconsistent training equals inconsistent races and no miracles happen on race day. If they do, your standards were too low or you were holding yourself back in training. 2. In your workouts, balance race-pace work with race-intensity work. Race pace stuff is how you teach your body to get a feeling for that rhythm but during those types of workouts, I find that I'm focused on hitting that split and am a slave to the stopwatch while not focusing on the racing mindset. If I were running repeat miles in 4:40, I would focus on hitting every 200m split in 35. In races, you can't do that. While the intensity has high carry-over value to the race, I find it doesn't adequately prepare my mind to get "racing mean." To do that, it's good to run a fartlek where you focus on hammering and forcing the pace, while ignoring what your speed is. I think a session of 16-20x400m with 1:00 rest is a great 5k workout but my favorite hard speed workout is 20x1:00 hard, 1:00 easy, where I start strong and really try to dig deeply into the well the last few intervals. If you can train your body and mind, you'll turn into a killer. 3. Train for your event while not neglecting others. If you want to get in your best half-marathon shape, you need a lot of workouts around half-marathon pace; tempo runs, 4x2 miles, etc. But you also need to get in good 10k and marathon shape as well. That means getting in some fast fartleks, repeat mile sessions as well as long progression runs, hard 10 mile runs, etc. I frequently find that people who struggle in half-marathons can run fast 5ks and get in consistent speedwork but do very little training at estimated marathon pace. I think this principle holds true for other events as well. If you're shooting for a 10k, you need to do stuff at 5k pace and half-marathon pace, etc. 4. While hard training is the "secret," don't take everything so seriously and learn to have fun. If your mind is constantly focused on running and what best helps it, you're going to drive yourself crazy and miss out on a lot of other things the sport has to offer. My favorite run is running on Monday nights at Brixx with the Hendersonville Running Club. We go for an easy six miles or so, then hang out afterwards. Unfortunately, I can only do this run when I don't have afternoon cross country/track practice. I also really enjoy the Nashville Striders long runs. You have a wide variety of people to run with, it's a great way to meet new people and I can usually eat more than my membership fee in post-run granola bars. These kind of runs take away the monotony of training and are what will keep my running for a long time. 5. Keep a training log. A teacher would be lost without their gradebook. They keep their students grades, documentation on a variety of things, etc. It enables them to trace patterns in student behavior and academic progress and make future adjustments. The self-coached runner needs a training log to serve as their "gradebook." You don't want to go overboard with a bunch of details, but make notes on how you are feeling on workouts, any random pains, workout times, etc. That achilles injury that you feel appeared out of nowhere, could be related to those extremely tight calves you talked about last week. By keeping a training log, you keep tabs on yourself, so if you're having a consistent issue, you can go back and most likely find the root cause. There are a ton of free training logs on the internet, but myself and most people I know, use Runningahead.com. LLD: At Harding University (where you were a D-II XC and track All-American) you trained with and roomed with some Kenyan athletes. What did you learn from their approach to running? Do you have any insight into what makes Kenyan runners exceptional? SW: At Harding, I was definitely able to get a cultural experience because I had teammates from Kenya, Finland, Poland, Fiji and Texas. What I learned from my Kenyan teammates is how simple and low-key they are. Americans frequently will try to dissect every little detail of running, question every aspect of their training on LetsRun.com and whine on Facebook if they have a bad workout or race. From my experience, Kenyans just showed up, ran hard and when the workout was over, it was over. They were fierce competitors, but were less emotionally-attached to running and didn't consume themselves with the sport. After hard workouts, I was all worried about getting in my food in that 90 minute window, worrying about carbohydrate to protein ratios, etc., while my two Kenyan roommates each won a National Championship in the 10k and after practice, they wouldn't eat a thing until about 10pm, when they made some sukuma wiki (stew with collard greens, tomatoes and sometimes meat) and a huge pot of ugali. It probably wasn't ideal for their training but they didn't worry about it. If you're a worry about every little detail and what is always the best thing at the current moment, you'll crumble when the slightest detail is "off." LLD: From what I have seen, you take a "no stone left unturned" approach to training. Your training seems to have it all: high mileage, hill blasts, fast work, steady work, easy running. How did you learn your own approach to training? Are there some basic principles that guide your approach? My training philosophy is influenced by several people, with my own stuff thrown in there based off how my body responds and what my time schedule allows. I definitely think before you can worry about fancy workouts, etc., you need a very strong mileage base. So fundamentally, I'm a strong Arthur Lydiard supporter. When it comes to fast workouts, I like Renato Canova and Mark Hadley a lot. I use Canova's marathon book more than any other running book and do my best to dissect his posts on LetsRun.com so I can try to better understand his principles. Mark Hadley is less well-known but he seems very similar to Canova and I use a lot of his stuff and frequently check his blog. Both of those guys are big on running things at race pace or a percentage of race pace instead of fancy, confusing things such as vo2 max, etc. If I could get coached by anybody, those two would definitely be at the top of my list. I like running a variety of runs and paces because it keeps things interesting and makes me a more "complete" runner. 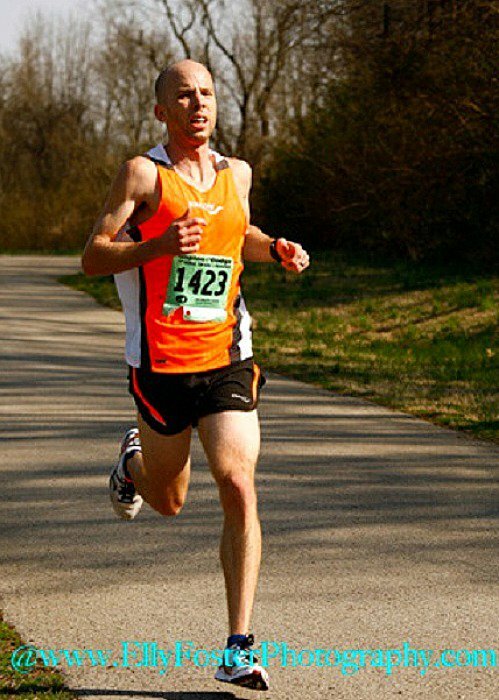 In college, I used to do the classic approach of running a lot of easy miles during the off-season, adding in tempos and hills at the start of the season and then running really fast stuff at the end. I found out that starting speed work earlier and never being more than a few weeks away from race shape is something that works best for me. But I think a large reason why I can do this is because of my high mileage background. While I do run a variety of speeds and paces far out from my race, I think as you get a few weeks out from your peak race, running stuff right at or race pace is very important. If you're trying to run 6:00 pace for a 5k, doing a lot of repeat 400s under 80 seconds isn't going to make you "sharp." If you want to be smooth and efficient in your 5k, focus on running your workouts near 5k pace as you get close to your key event. But if I had to give a simple explanation to my philosophy, it's somewhat similar to old-school Frank Shorter. You get in your long run, two hard workouts a week, while running as many miles as you can between them. LLD: It's easy to look at top athletes and think that they have it easy. You've really struggled with iron issues. What have you learned through those struggles that you could pass on? SW: Several times in my college and early on in my post-college running career, I would frequently crash and burn. The doctor would always tell me it was mono flaring up again but he would give me these pills and said they would help my energy. A couple of weeks later, I would feel a lot better and then a few weeks later, would crash again. It was a very stressful process and took a lot of my desire away. One day, I was trying to remember what those pills were and after I remembered, I looked it up on Google. They had a lot of B-Vitamins but most importantly, had over 500% of my daily iron. When I saw that, I definitely thought I had an iron issue all along and the next time I was feeling run down, I got a full iron panel. My total iron and iron saturation were in the tank and a couple of weeks after supplementation, I was feeling good again. Figuring that out saved my running and now I take one 45mg Ferrochel a day, as well as get an iron panel two or three times a year to check on my numbers. I find my body absorbs Ferrochel the best and it's the only iron supplement "generally regarded as safe" by the FDA. It's also amino acid bound, so it's not as nasty on the body like Ferrous Sulfate, or your typical iron supplement is. LLD: What keeps you motivated to race and train at a high level? How do you balance a goal like qualifying for the Olympic Trials with a full-time job and being a father? The main thing that keeps me motivated to train and compete to the best of my abilities is that I'm continually getting faster, so of course in typical American fashion, I want more and more. Once I begin to slow down, I don't know what I will do. The idea of training harder just to slow down terrifies me. That's why I admire all of the Nashville area masters who are tearing up the scene, as well as guys like Jef Scott, Stewart Ellington and my favorite physiologist, Ted Towse. I also have a lot of unfinished buisness with running and would like accomplish something to give me some closure. At Harding, mono messed up my senior year. At Arkansas-Little Rock, iron and mono again messed up my season. When I was hoping to qualify for the 2008 Marathon Trials, the iron issue curtailed me and before Huntsville, which was to be my Marathon Trials qualifying race, the sickness took me out. Running has loved to slam its door shut on me right when I'm about to walk-through it, so I'm hoping I can finally get through that door and some closure. But I definitely wouldn't be able to do this without my wife, who has changed more than her fair share of diapers, woke up early too many times so I could get an extra hour of sleep and watched Kate so I could get in a long run. But I think all of the things going on in my life: fatherhood, teaching, coaching my high school team and people over email, as well as my own running actually helps me some. I don't really worry about running until it's time to run. If all I did was run, it would consume me. Those other things keep my mind fresh, my life more balanced and when it comes down to it, my own individual running is a very selfish endeavor. If I put my own running over those things, I wouldn't be happy with what I was contributing to the world. In life, you either make the world a better place, or a worse one. LLD: What does the future hold for you? Are you considering another run at the Olympic Trials? Do you have other goals? 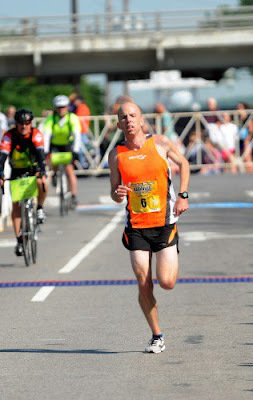 Originally, my focus was the Cleveland Marathon in May. After the Rocket City debacle, I was attempting to run the Mississippi Blues Marathon a month later but injured my knee. I had six weeks of minimal training, then jogged for a week before getting the flu and taking off another week. Needless to say, I lost a ton of fitness and won't have time to get in marathon shape in four months. My "peak" race now is the USA Half-Marathon Championships at the Grandma's Half-Marathon in June. I plan on getting in sub 65 shape and mixing it up there the best I can. A couple of weeks after that, I will probably run the Peachtree 10k, in Atlanta and see how fast I can turn over my wheels. So obviously, the focus on this Spring will be a lot more faster stuff. I'll race a good bit and will also do my first track meet in seven or eight years at the Music City Distance Carnival. If my coaching/teaching/family schedule lets me get in a few solid marathon workouts this fall, I plan on running an October marathon and am leaning towards Columbus. If that works out, I'll definitely shoot for the sub 2:19 to give me some bittersweet redemption. And this could be the year that I listen to The Monkey call my name. After that, I'd love to get eight of the Nashville area guys to band together and make a team for the USA Club Championships in December. With the guys we have around here, I'm pretty certain we could finish in the top 10 as a team. I'm not sure what the new Marathon Trials standard will be but as long as it isn't anything crazy like 2:15 or something, I plan to go after it. Two years ago, I couldn't run my marathon pace for 5k, so I think in 3-4 more years, I'll be a stronger, more mature runner. My body isn't fit or strong enough yet to do the type of workouts I think will give me some big fitness gains but in a couple of years, I think it will be. LLD: How have you improved as a runner since college? What advantages does your 30 year old self have over your 22 year old self? SW: Even though I don't have the speed and recovery ability that I did in college, I feel my mindset is a million times stronger. I am much more patient, don't worry about other people and focus on the goal at hand. In college, when things were going well in races, I was a tough competitor. But when they weren't going well, I would mentally tank. I would focus on what others were doing rather than worry about focusing on my own race, listening to my body, etc. I don't have that chip on my shoulder anymore, so I could care less about what others do. In life, you are in control of your own destiny, so you need to focus on what you need to do and stick to the plan. In college, I was emotionally up-and-down and very impatient and as a result, my results reflected that. During races and in hard workouts, I am constantly listening to my body. Now, I have that patient old-man mindset, so I can hang on to the "ups" while not worrying about the "downs." Thanks for the questions and the thorough answers. Highly edifying. Those Kenyan roommates were (likely) either Muslim or Orthodox Christian. There is an emphasis in both religions' spiritual practice on putting off eating until later in the day, particularly during Ramadan or Great Lent. Yes, fasting that late is not the best nutritional approach. But, it's a reminder to me that, when I put "first things first," everything lines up, including training. I sense this theme in your comments, Scott. Thanks for the insight, Nader. Scott, thanks for the concrete training advice. Very informative. Thanks to both of you for doing this. Delicious post. Thx from me too. great read. best of luck to Scott.